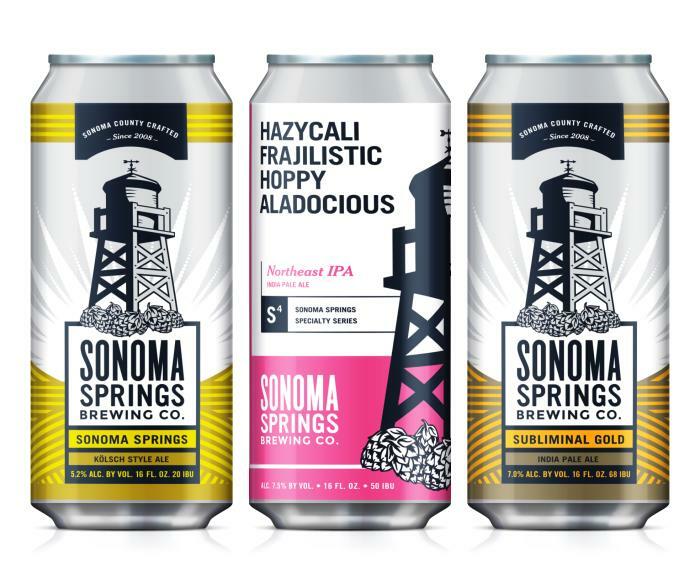 SONOMA, CA – March 21, 2017 – Sonoma Springs Brewing Company is proud to announce the impending release of its award-winning Kolsch, Subliminal Gold IPA, and HazyCali North East inspired IPA in 16oz cans for wholesale and retail customers. The Kolsch is Sonoma Springs’ most popular beer, and also serves as the base for some of their barrel aged sour beers. The Subliminal Gold IPA is a top seller in the taproom. The HazyCali, first brewed in early 2017, is one of eight new beers released this year alone. Sonoma Springs plans to expand its can production to other beers in the future. The Sonoma Springs Kolsch is light and dry, with 5.2% ABV and 20 IBU. A true porch pounder, in the summer there’s nothing better than a cold, fresh Kolsch while grilling meat, floating on the river or in the comfort of your home with friends! The Subliminal Gold is Sonoma Springs flagship IPA combining crisp and refreshing malt build with a mix of amazing hops. With 7% ABV and 68 IBU, the Subliminal Gold produces distinct flavors of gooseberry, citrus and passion fruit. A North East inspired IPA, the HazyCaliFrajilisticHoppyaladocious is brewed with over 4lbs. of Crystal, Amarillo, Mosaic, and Simcoe hops per barrel resulting in 50 IBU. With a heavy oat and wheat base, this beer tastes like ruby red grapefruit juice and has a super smooth mouth feel at 7.5% ABV. No grapefruits were harmed in the making of this beer! 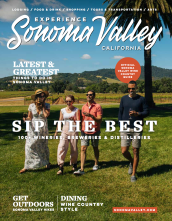 Founded in 2008, Sonoma Springs Brewing Company specializes in California and German style beers, and small-batch wine and whiskey barrel aged offerings. With over 15+ years of brewing experience, head brewer Tim Goeppinger focuses on balance and flavor in all of his creations. Sonoma Springs’ award-winning ales include the Sonoma Springs Kolsch, Lil’ Chief Strong Pale Ale, Roggenbier Rye, and the New Bavaria NomaWeiss Wheat. The tap room is located in Sonoma, California, minutes from the Sonoma Plaza and offers 20 beers on tap, tours, beer flights, pints, growlers and more. For more information, visit SonomaSpringsBrewing.com or visit the taproom at 19499 Riverside Drive, Suite 101 in Sonoma.